The Tennessee Valley Authority (TVA) has announced its former President and COO, Oswald Zeringue has been recognized with a Nuclear Excellence Award by the World Association of Nuclear Operators (WANO). According to the announcement, Zeringue played a key role in the construction and completion of the Watts Bar Unit 2 nuclear reactor. He was nominated for this award by current Senior Vice President for Watts Bar Operations and Construction, Mike Skaggs. This award recognizes the contributions made by individuals involved in the operation of nuclear plants and infrastructure that supports nuclear energy generation on a global scale. 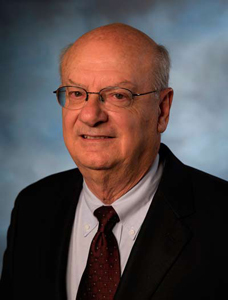 Zeringue began his career with the TVA as a nuclear engineer in 1975 and has held numerous positions in leadership with the company up until he retired as the president and COO in 2005. “His commitment to safety, performance fundamentals and high standards has contributed to increasing excellence in nuclear power generation,” Skaggs said. WANO presents this award every two years.